The class has reached more than 2000 students, thank you! I like the idea of sharing the knowledge and skills. I find it very meaningful to teach someone else something you love or you´re passionate about. I am an architect and I love to draw and sketch. I sketch spaces and I try to put a story inside every image I make, I try to express a specific mood or atmosphere and to communicate ideas through my sketches. In this class I´d like to share tips and tricks how to achieve this kind of drawings. Not only in technical way, how to move your hand or how to make a straight but imperfect line. But also how to think about the image you create and that is not only about the lines and composition, but also about the character and energy you can give into your sketch. I will guide you and share with you tips and tricks, drills, and techniques to achieve sketches with architectural look, strong character and embodied energy. From the very basics as drawing straight lines to gradually more complex compositions of sketched perspectives. This class is perfect for anyone interested in sketching or drawing. 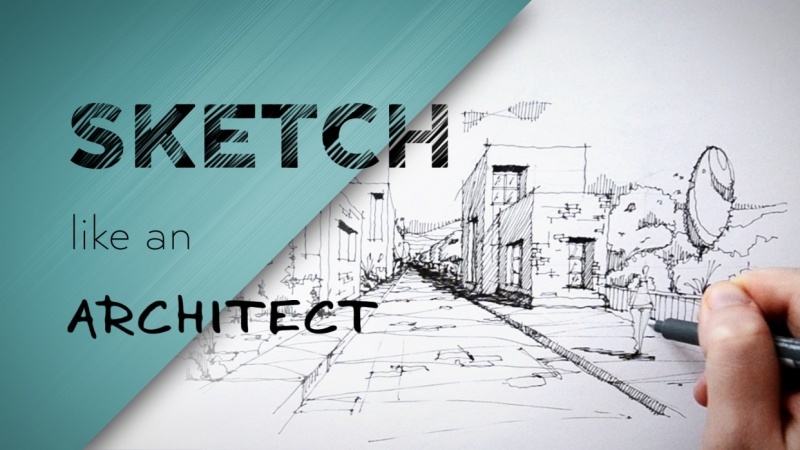 If you´re an architecture student, you want to sketch the moments from your holidays, the spaces around you, or you just like to doodle, then this class is just for you! You don´t have to be great to start, you have to start to be great..! So don´t worry, if you´re not super-confident and give it a chance with this class. I´m looking forward..! Create a collection of sketches and gradually build up your drawing skill. Use the techniques I share in each step´s video and complete the sketching exercise. Upload a sketch for each step´s exercise as you go. Here is a small teaser of one of final sketched perspectives, in this case with a use of color markers ;) Feel free to leave a comment or a question! The only equipment you´re going to need is papers, pencils & pens, and some colour markers. My Lesson Outline is HERE!